What Is The Future Of The Gold Market? The gold market is basically a gold trading platform. This, just like the stock market, is a platform where individuals or companies can trade gold amongst each other. The three largest gold markets in the world are the London OTC market, the Shanghai Gold-Exchange (SGE) and the US futures-market (COMEX). 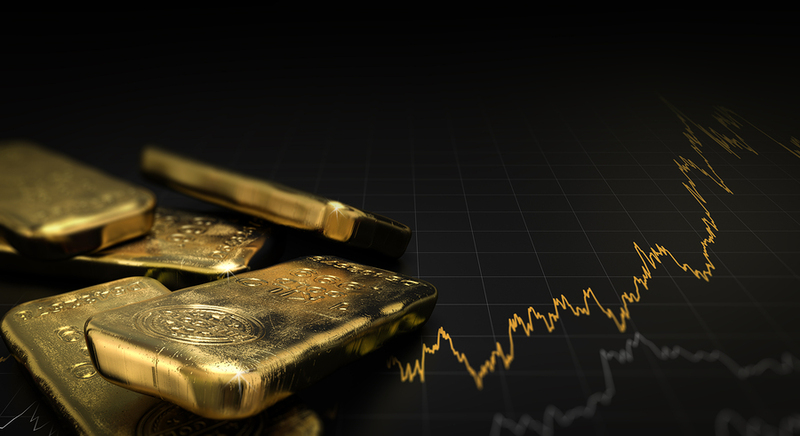 The gold market has been around since the 1970s and it has experienced many different highs and lows throughout the years, but it has been able to maintain and expand despite the majority of the gold around the world having been mined already. Gold trading was, in most cases forbidden. Majority of the 20th century gold trading was forbidden in America. It was not until 1946 when the Bretton Woods agreement set the price of gold at a lowly $35 an ounce. This created the gold standard. The first futures were traded in 1974 on the COMEX exchange in New York. In the 1980s, there was a massive expansion is gold trading, and with the introduction of the Internet, online trading was introduced. Through out history, gold has completed different cycles of highs and lows. In 2008 – 2011, the price of gold dropped greatly to as low as $865 when it was trading above $1000.The price of gold reached an all time high of $1913.50 in April 2011. Since its introduction on the market at $35 an ounce, the value of gold has increased tremendously. Although the prices rise and fall quickly, most investors took an interest in gold trading. Trading with a currency like the Australian Dollar (AUD) has been proved to be a nice strategy as Australia is one of the largest producers of gold. This means that if the price of gold rises, then the currency will also gain in strength. Higher gold prices make the Australian Dollar currency very competitive. For Gold AUD prices please view this page. The future of the gold market is pretty much uncertain, with different sources such as the gold eagle (http://news.gold-eagle.com/article/2018-gold-price-forecast-major-bottom-forming/881) predicting that the price of gold will drop as per history records but will rise again eventually. They have different signals, which point out that by the end of 2018, the price of gold on the gold market will rise steadily with gold falling no lower than $1,205 as the lowest case. The majority of the world’s gold is kept as reserves in banks across the world. This will eventually lead to prices of gold rising more as there is less and less gold to trade with on the market. Countries like Canada, Australia and South Africa will benefit from such rises of gold as they provide majority of the worlds Gold and the gold market directly reflects on the currencies in such countries. The gold market has been around for a long time and it seems it will be around for many more years to come as gold is becoming a rare commodity by the day, thus meaning the prices will rise. But knowledge on how the gold market works is very advantageous. With different fluctuations and risky investments, its best to first visit our website and fully understand it.